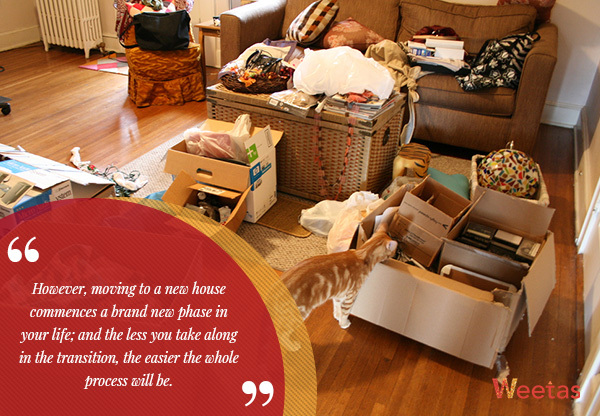 Moving to a New House: how to make it easier beforehand? Congratulations! You could successfully find the perfect place to be your new home, you purchased it and completed its finishing works and – why not – its decorations and interior design. You almost made it all the way through but there is still the final stage of moving out, and that is moving to your new house – literally. It is understandable why no one likes to move all his stuff from one place to another. It is costly and it requires a lot of time and physical efforts to be spent before, during, and after it. However, if you plan the process well enough, it will not be that horrendous. To assist you with completing this task swiftly, we here enlist some vital tips, precautions, and important factors that you need to consider before moving to a new house to make the whole ordeal as easy as possible for you and your family. Whether you are intending to sell your old house or keep its ownership and put it up for rent, this step can have a significant impact on the house’s price or rental. 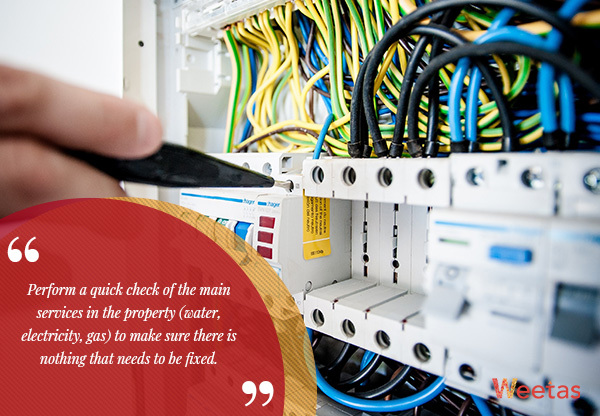 Perform a quick check of the main services in the property (water, electricity, gas) to make sure there is nothing that needs to be fixed. This step needs to be done as soon as you take the decision to move out for the necessary maintenance to take all the time it needs. Yes, we know that the strong urge to keep the old equipment, devices and clothes which you are not using anymore is a part of the human nature, especially when they formulate parts of our memories. However, moving to a new house commences a brand new phase in your life; and the less you take along in the transition, the easier the whole process will be. Make sure that you are taking the stuff that you still use and need along with you. You might as well want to consider having a minimalistic lifestyle in your new sanctuary, especially if you are moving into a small, cozy apartment. To help with that, you can find in the following article a guide explaining how to have and maintain a clutter free life. Speaking of unneeded stuff, in your last days in the old house, make sure you are not purchasing food to be stored for the long term. With all the costs you are going to have to endure while moving out, food waste is certainly something you would want to spare. Now that you got rid of the unnecessary clutter, you can start packing the stuff that will accompany you in your way to your new place. 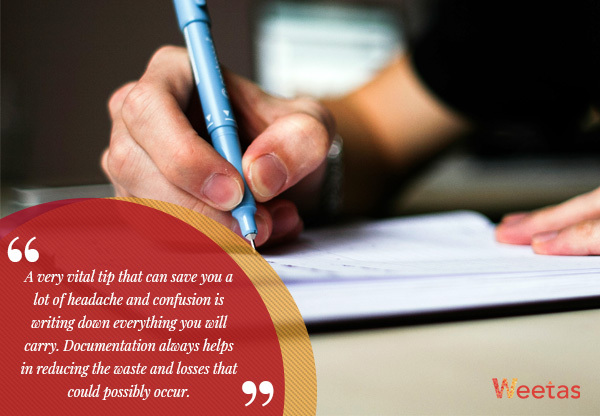 A very vital tip that can save you a lot of headache and confusion is writing down everything you will carry. Documentation always helps in reducing the waste and losses that could possibly occur. Consider it some sort of a check list that will come in handy both before and after you move out. The importance of organizing your stuff before moving to a new house cannot be stressed enough, especially considering the fact that the downside of packing them in an unorganized manner will only be clear when you decide to unpack your bags and boxes at your new home. Make sure to pack similar things together whenever possible (e.g. books, toys, clothes, kitchen silverware, etc) and label each box with its content. This will make it much easier for you to unpack, especially if you do not intend to unpack everything in your first day in the new place. You would know what you need the most and unpack it and keep the rest for another day. In addition to the above, packing a first night box can be very useful. As you can tell from the title, this box should contain all the essentials you would need on your first night after moving to a new house: bed linen, pajamas, etc. This will come in handy if you spent your whole first day carrying your furniture and boxes and you have no time or energy left to start unpacking. You would only need this first night box and you can leave the rest for the next morning. It would seem like we are bringing out the obvious, but choosing the furniture movers carefully is the most crucial part of the whole process of moving to a new house. The best practice to follow here is to ask from one of your relatives, friends or acquaintances for a trustworthy reference with whom they have dealt when they were moving their furniture from one place to another. It is also better to reserve a date with the moving company as early as possible since these companies are often too busy with other clients. Also, before you move a single chair out of your apartment, make sure you have a clear agreement with the service providers regarding what you need them to do and the fees you are going to pay them to avoid the unneeded hassle later on. Of course, it is always nice to tip the workers if you could, but the basic amount should be agreed upon from the beginning. Launching a new phase of your life in a new place is not something that should be rushed or not done carefully. Make sure you are taking all the time you need before moving to a new house to ensure that the whole process will go smoothly and have a good kick start at your new home with the least possible damages and losses of your stuff and furniture.